TB is the top infectious disease killer that infected 9 million people, killing 1.5 million of them, in 2013. The Asia Pacific region carries 56% of this global TB burden, accounting for 5 million TB cases, and more than half a million TB related deaths in 2013. According to the Diabetes Atlas 2014, diabetes affects 387 million people worldwide out of which 213 million are in the Asia Pacific region. in 2014, diabetes killed 4.9 million people worldwide out of which 3 million (60%) were in the Asia Pacific Region. About 15% of all TB cases are linked to diabetes. During the recently concluded 5th Asia Pacific Region Conference on Lung Health of the International Union Against Tuberculosis and Lung Disease (The Union), Dr Richard Brostrom, State TB Branch Chief and Pacific Regional Medical Officer of Centers for Disease Control and Prevention (CDC), gave some very interesting but grim statistics regarding the nexus between TB and diabetes. 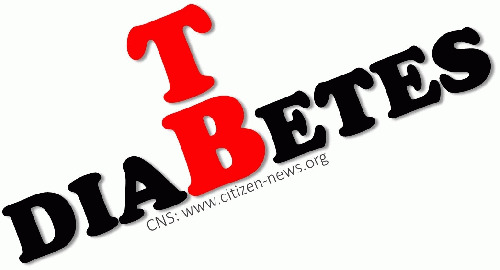 He said that, "People with diabetes on being infected with TB have a 2 times higher risk of remaining culture positive; 3 times higher risk of progression to active TB disease from latent infection; 4 times higher risk of relapse after completing standard TB treatment; and 5 times higher risk of death during TB treatment, as compared to those without diabetes." TB-diabetes co-morbidities are now one of the priorities both in clinical and public health aspects. Several studies confirm the necessity of taking this issue seriously if we aim to have a TB free world. There are 5.9 million people suffering from diabetes in Bangladesh and their number is increasing by 5%--6% each year. Considering the increasing number of populations at risk of both diseases, the combination of TB and DM signifies a health warning for Bangladesh. The objective of the study was to implement collaborative activities to reduce the burden of TB-DM by increasing early case detection and management of TB among DM patients and developing knowledge and awareness on TB- DM co-morbidities among the health professionals.